After the final text of the law on anticorruption court was published it turned out that there is a clause which contradicts prior agreements with the international partners. Thus, the law envisages that NABU cases, consideration of which started in the ordinary first instance courts, shall be filed to the ordinary appellate courts, even after the anticorruption court is launched. Therefore, current NABU suspects will totally circumvent the anticorruption court. This would enable de facto amnesty for a number of top officials. More details. Venice Commission's Secretary Thomas Markert informed they did not make such a recommendation. The appellate procedure in cases currently considered by the ordinary courts, was supposed to be held in the Appeal Chamber of the Anticorruption Court (if the first instance verdict is issued after the anticorruption court becomes operational). This procedure should be brought back as soon as possible by amending the legislation. Also, as a reminder, after prior consultations with the High Council of Justice the President should submit to the Parliament another draft law on establishment of the anticorruption court in Kyiv. According to President's website, such a draft was submitted to the HCJ for their conclusion on June 14. With 527 votes the European Parliament supported €1 billion macro-financial assistance for Ukraine. The Parliament insists that Ukraine must take tough anticorruption measures, including setting up of an anticorruption court before disbursement. More details. Anastasia Krasnosilska's analysis of the law for the Atlantic Council. Recent investigation by RFE/RL's Schemy program focuses on how the head of the Security Service of Ukraine (SBU) anticorruption unit Pavlo Demchyna, while being investigated, acquired a new elite automobile, and on how living conditions of his relatives improved drastically. 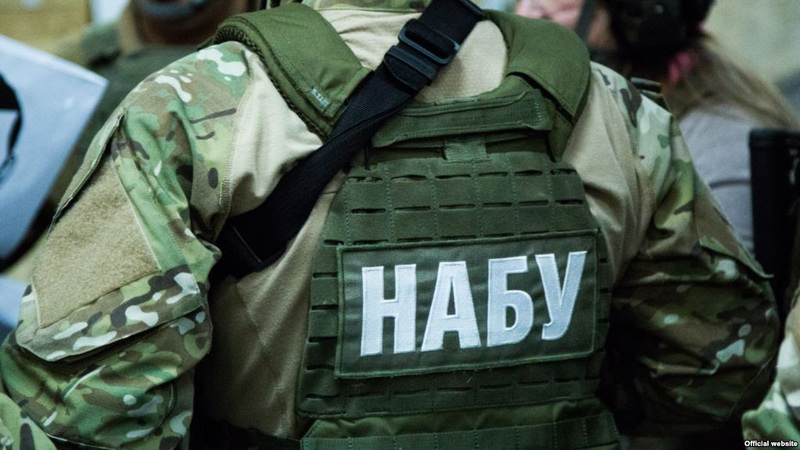 The SBU is empowered to protect state’s sovereignty and tasked with a wide range of functions starting from crucially important counterintelligence and counterterrorism ending with fighting against corruption and organized crime that duplicate other institution's powers. So far, Ukraine’s leadership has found no political will to reform a Soviet-style security institution into one based on NATO standards. However, there’s a solution. Parliament is considering presidential draft law #8068 “On National Security of Ukraine,” and it should take this opportunity to also reform the SBU by abolishing its anticorruption and economic intelligence functions. MP Hanna Hopko submitted amendments to the draft bill which would focus the SBU on its primary functions of combating terrorism and defending state sovereignty. Consideration of the bill will most likely begin the next week. The Parliament should use this historic chance to launch this long-awaited reform. More details in the article by Olena Halushka and Anastasia Krasnosilska for the Atlantic Council. 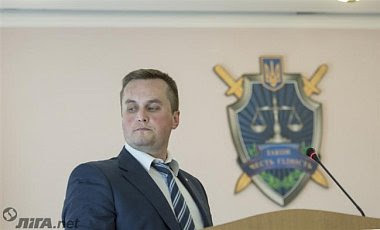 Media informs that the United States canceled five year visa of the Head of the Specialized Anticorruption Prosecutor's Office Nazar Kholodnytsky. He had to take part in a meeting in the US, but was not be able to attend because of the revoked visa. — interference or any other influence on the part of a prosecutor into professional activity of another prosecutor, officials or judges. The hearing of the Prosecutor's Commission should be held by July 4. We will keep you informed on the case. We are convinced that after abovementioned violations and abuse Kholodnytskyi cannot hold the post of SAPO Head, should be dismissed and brought to liability. NABU handed a notice of suspicious to economic court judge for declaring false statements. More details. NABU held a press-conference to report about 3 years of its activity. For reference: the results of independent technical assessment of NABU activity, which was commissioned by the international partners (US Embassy and the EU Anticorruption Initiative in Ukraine) upon the request of NABU. More details. #Victory AntAC has achieved the termination of public procurement contract totalling 12 million UAH. Winning company is turned out to have been connected with their only one competitor. On that score the AntAC addressed the Antimonopoly Committee of Ukraine, the customer and the head of Busk state regional administration regarding violation of competition on public bids, and the contract was discharged. More details.